Once again, we are battling evil in a Salesforce Themed world through a Dungeons & Dragons game. Our merry adventurers will play an online streamed game, exposing their Nerdiest sides to the greater Salesforce Ohana. Watch on Monday Evenings leading up to Dreamforce this year. As a viewer, you have the opportunity to participate by donating to our cause. You can watch as we pretend to be heroes, but you have a chance to be a real champion. You Too can become a Champion! During the streaming events we encourage you to watch and make donations to our Extra Life fund. What’s great is you have the opportunity to effect the game. By noting a specific character in the game you add to their Schwag-Bag. Give in the name of your favorite character and they could wind up with a Trailhead ReRoll Badge, a QuickWin Deployfish or even a Magic Lightning Component to use in the game. So check out the players bios here and make sure to catch the streaming games in the weeks before Dreamforce! 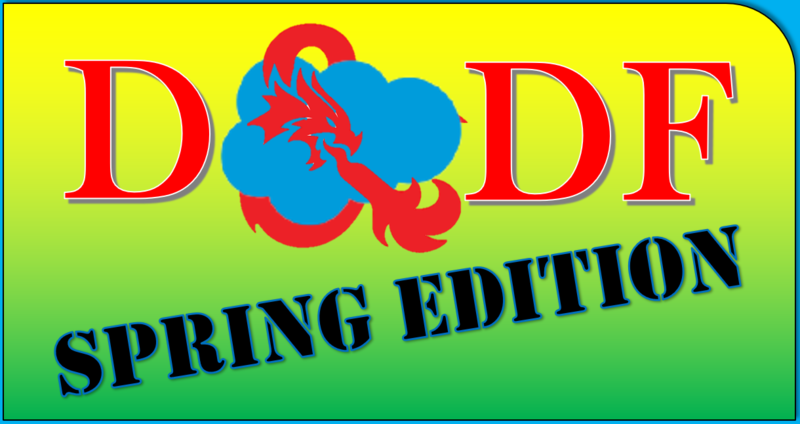 Re-Roll Badge ($10) -This gives you a chance to award a Re-Roll Badge to a player or the Dungeon Master. Re-Roll badges can be used to roll again if they rolled a seriously sad number when they really needed. Magic Lightning Component (>$200) – Want to make a really huge impact for our heroes? These are Magic items that can make or break this D&DF17 Implementation. The dollar signs are a bit higher than the Re-Roll Badge or the QuickWin Deployfish, which makes them an excellent Company Sponsorship opportunity. The Professional Magic Lightning Component is $200. If you really want to help, ask us about the Enterprise or Unlimited Lightning Components. Go to the Nerdforce Extra Life Donation Page – HERE. From here you are given a number of amounts to select from, but the easiest might be the “Other Amount” option at the bottom. Enter the amount you would like to give and use the “Message to Nerdforce” field to note who you want to give your D&DF gift. Getting to Know our HEROES!! !